A marketing event is an ideal way to interact one-on-one with current and potential customers. In a world saturated by digital, a marketing event creates a valuable personal relationship between your business and your ideal client. Even better, a marketing event can do more than build strong relationships, it can help you generate leads. New leads are the lifeblood of every successful business. They strengthen your portfolio and help the business grow. Knowing which attendees are qualified leads and which are just along for the ride ensures that your time and money is spent efficiently. Identifying qualified leads lets you tailor your pipeline to those potential clients. Don’t turn someone offer by aggressively following up when a lighter touch is needed. And don’t lose out on potential customers by failing to follow up with someone who is on the fence. So how do you tell if someone is interested? They ask a lot of questions. They opt-in to receive emails or follow up information. They post about your event or company on social media. They try hands-on demos. Usually, the more touch-points a lead interacts with, the warmer that lead becomes. So create multiple opportunities for attendees to engage with you. That can be through presentations, demos, Q&A sessions, social media sharing, opt-ins and more. Getting the most out of your event marketing starts with gathering as much data as possible about your attendees. Go beyond who showed up and who didn’t. Keep track of who attended which parts of the event and who was most engaged throughout the process. The tools you use to track attendees can range from the traditional to the cutting edge. You might ask attendees to sign in to a talk or drop their business card into a fishbowl to win a prize. Or you might have attendees scan into a seminar using a barcode or enter a contest by posting to social media using your event hashtag. Convince attendees to opt-in to follow ups by promising to email them a link to the slideshow or similar resource. All of these tactics allow you to see who was interested in which topics. That will come in handy when you’re ready to follow up. Start gathering information from the very first interaction. When attendees sign up for your event, they should fill out a simple form that includes such information as their name, title, company, and reason for attending. This simple information can help you organize your follow-up later. You can sometimes see right off the bat whether that attendee will be a qualified lead. If you’re selling to businesses, a c-suite executive from a large company is probably a qualified lead from the start. If you’re selling to individual consumers you may need to get more creative with your questions. For example, if you’re a pool company, ask if the person owns their home or is renting. Social media is an effective way to gauge attendee interest. Attendees who are engaged in what you have to offer may post on social media. Make it easy for them by creating a custom hashtag. You can even create photo opportunities that remind them to post their pictures. Host a Twitter based Q&A session. And make sure someone is manning your social media during the event to quickly answer any questions attendees may have. Monitoring engagement in this way can help you identify leads that are ready for more information. The beauty of social media is that even people who can’t attend the event can experience it in some way. You may even find additional leads among the comments and likes from social media during the event. After the event is over, you’ll be left with a ton of information to sift through. Quickly identify your most qualified leads and rank them by level of interest. Then follow up. Tailor your follow-up to the level of engagement and interest. A lead who shared multiple pictures of the event on social media might be a warmer lead, and require a different approach than one who just dropped their business card into a raffle. If you’re not following up with leads post-event, you’re missing the biggest value your event can offer — warm, qualified leads ready to buy. 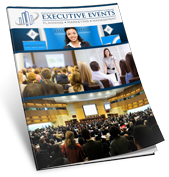 If you’re ready to start planning an event to generate qualified leads for your company, contact us today.